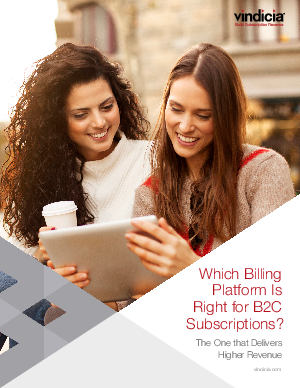 > Vindicia > Which Billing Platform Is Right for B2C Subscriptions? The move to subscription and recurring revenue business models is sweeping both business-to-business (B2B) and business-to-consumer (B2C) sectors. There are striking similarities in why—and how—subscription models lead to success for companies targeting businesses or consumers as customers. But there are also differences, and those differences show themselves clearly the impact of billing on customer acquisition and retention success.